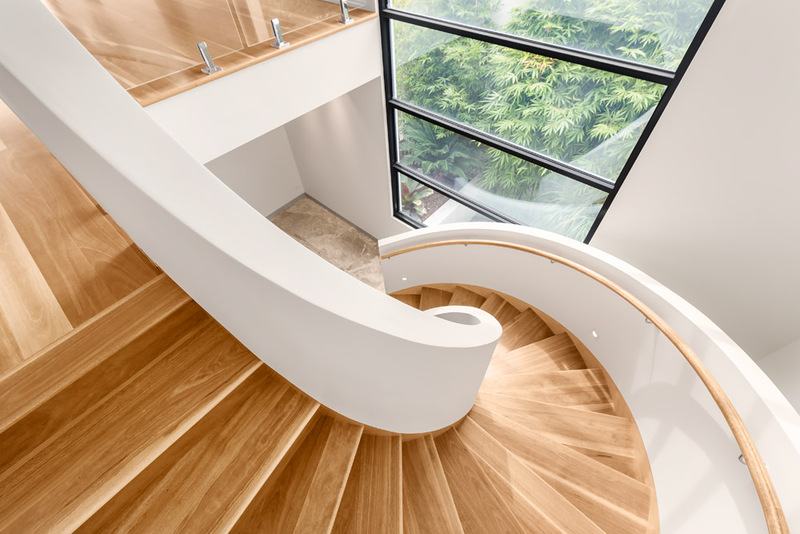 To complete the clean and uncluttered design of a modern staircase, glass and steel have become the materials of choice for balustrades in recent years. 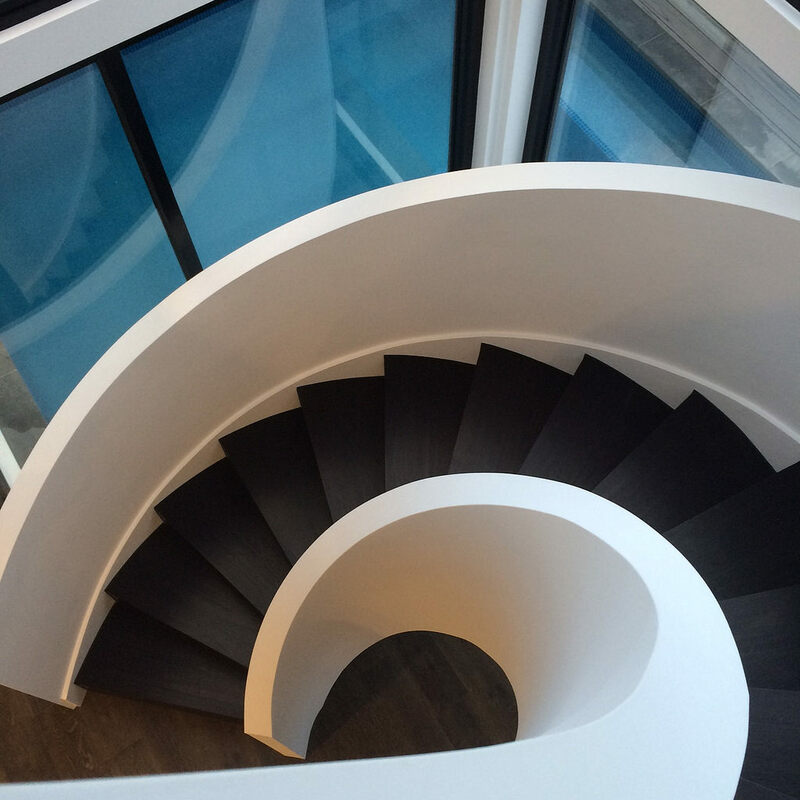 Custom made glass balustrades give an open and minimalist look and can be incorporated into your stair design in a variety of ways. 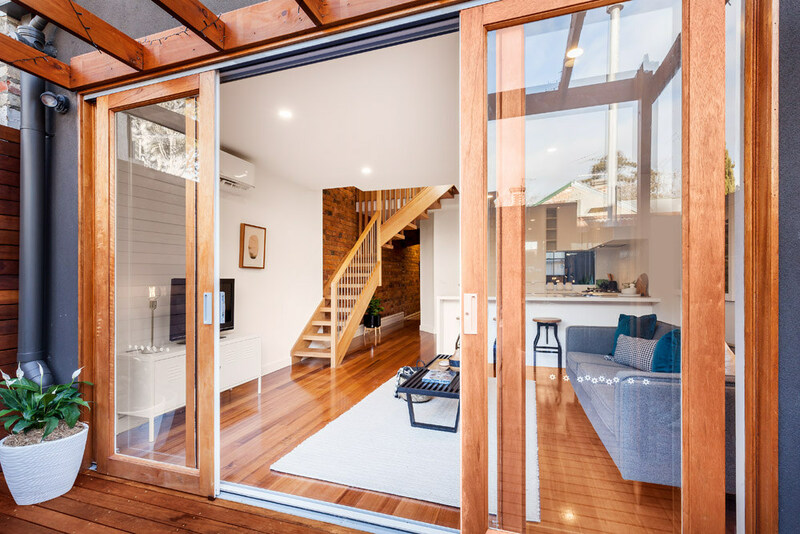 Glass panels can either be framed by timber posts, supported by stainless steel posts with glass clamps, side mounted to the treads or inserted into the strings, handrails or even the ceiling above the staircase, producing the effect of a balustrade that had no fixings or brackets. 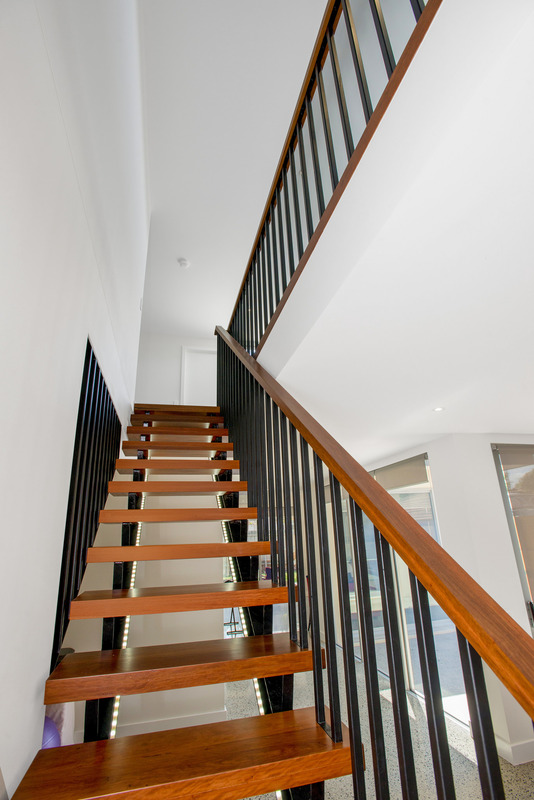 Steel balustrades similarly offer a variety of choices. Vertical stainless steel tube balusters deliver a very modern look and frequently we manufacture staircases where these extended from the treads through to the ceiling, creating a striking visual barrier. 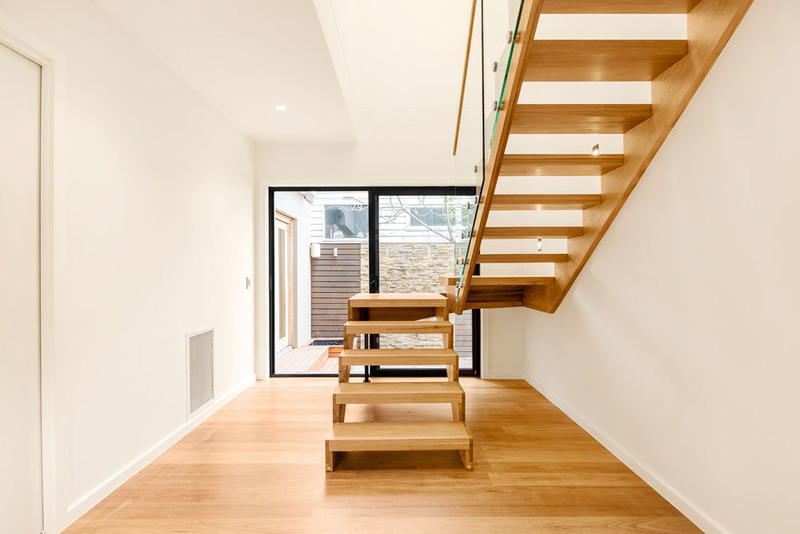 Wire balustrades give a sense of openness to any modern staircase, and allow uninterrupted views through the balustrade and light to flood the area. 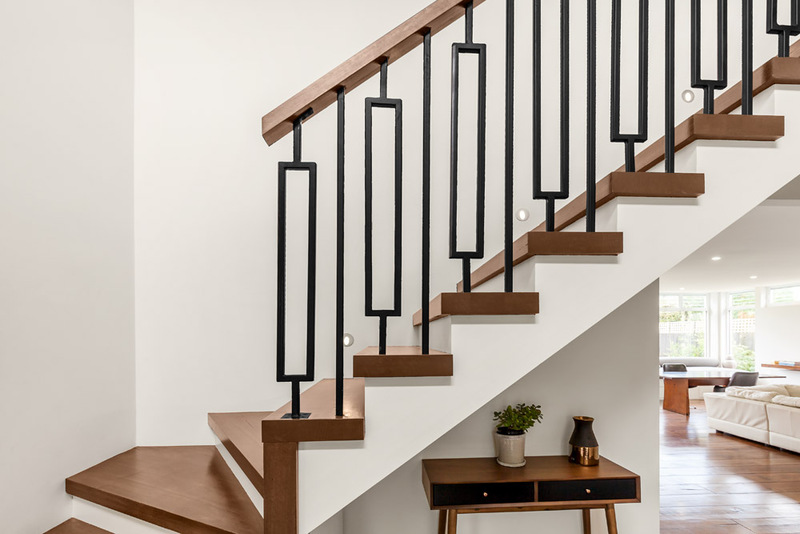 Powder coated steel and wrought iron balusters can also be used to create a simple, clean pattern that enhances any modern staircase.While glass and steel dominate, as a local staircase manufacturer Signature Stairs has also built an innovative modern balustrade by inserting a timber handrail into the recess of a short wall. The handrail was flush with the wall giving the homeowners the clean look they wanted while still complying with national safety guidelines for handrail design. Extraordinary results are possible even using the most traditional materials.